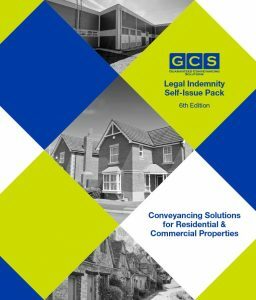 Brief: PRG’s design studio were contacted by leading legal indemnity providers GCS (Guaranteed Conveyancing Solutions) to refresh their current print advertising. The Heathfield based firm provides solicitors’ firms and conveyancers with legal indemnity insurance policies that provide cover for a wide range of title defects. When the team at GCS needed a design for their 6th Edition self-issue pack, it was the PRG design studio that once again rose to the challenge. The policy pack brief was to design a ring binder containing all of the firm’s policy documents and supporting literature to be sent out to 17,000 solicitors’ firms nationwide. The design studio were tasked with totally refreshing the folder’s look to bring it up to date and offer GCS’ valued clients a modern sleek folder. Solution: In keeping with GCS’ strong branding, the design studio set about creating a look that encapsulated the firm’s logo, taking inspiration from the squares in the branding to create a diamond pattern that would provide the basis for the design. The pattern was used to house black and white images of a range of properties, positioned along with blocks of the brand colours to complement the black and white photographs. The mixture of classic black and white contrasting with the vibrant colours offered a bright and contemporary look and feel to the folder, allowing it to stand out on the desks and shelves of busy, cluttered offices. To keep with the theme, the design was replicated throughout on the folder dividers and introductory insert. Such was the client’s satisfaction with the job, the design studio also worked with the team at GCS to subtly evolve their policy documents to make them more user-friendly. Results: The folder is now available here and is being sent out to GCS’ database. Promotion of the folder is ongoing on GCS’ social media channels, as the folder launch coincides with the firm’s 20 year anniversary, giving the client a lot to shout about on their Twitter and LinkedIn accounts! Do you need design expertise? Whether you require a current design refresh or brand new artwork, contact the PRG design studio to find out how we can help bring your print to life!